In 1989 Soviet Government represented by the President Mikhail Gorbachev organized the official delegation to Bonn, Germany. Many different manufactures from around the world took part in this event. 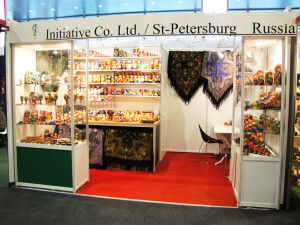 The most famous Russian manufactures were included in the exposition of Russian art goods and handicrafts. The founder of our company, Mr.Dorfman was the representative of Gzhel manufacture (original Russian white-and-blue porcelain). The exhibition was a great success. 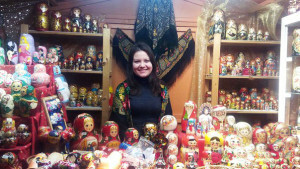 Since the “Iron Curtain” had been starting to fall, interest to Russian folk arts and Russian culture began to grow. Since then Initiative Co. Ltd has been constantly expanding its activity, remaining devoted to the best traditions and original Russian quality. During 26 years our company has been taking part in more than 100 exhibitions in 37 countries of the world: 8 times in Foire de Paris (Paris), 12 times in MUBA (Basel, Switzerland), 4 times in Swiss Comptuar (Lausanne, Switzerland), 7 times in Toy Fair (Nuremberg), 4 times in Ambiente (Frankfurt am Main, Germany), 4 times in TFWA Exhibition (Cannes, France) etc. Seoul, London, Mexico City, Tokyo, Dakar, Marcel, Quebec, Düsseldorf, Rome, Lugano, Dallas, Zurich, Washington, Milan, Vein – this is not the whole list of the cities where we are selling our goods with great success. For many years “Initiative” Co Ltd has been successfully providing wholesale distribution around the world. Our loyal customers are from Japan, Mexico, the USA, Great Britain, Germany, Switzerland, France, Denmark, Belgium, Italy, New Zealand. In 2005 we worked on a special project “Russian bear” for Steiff Company. 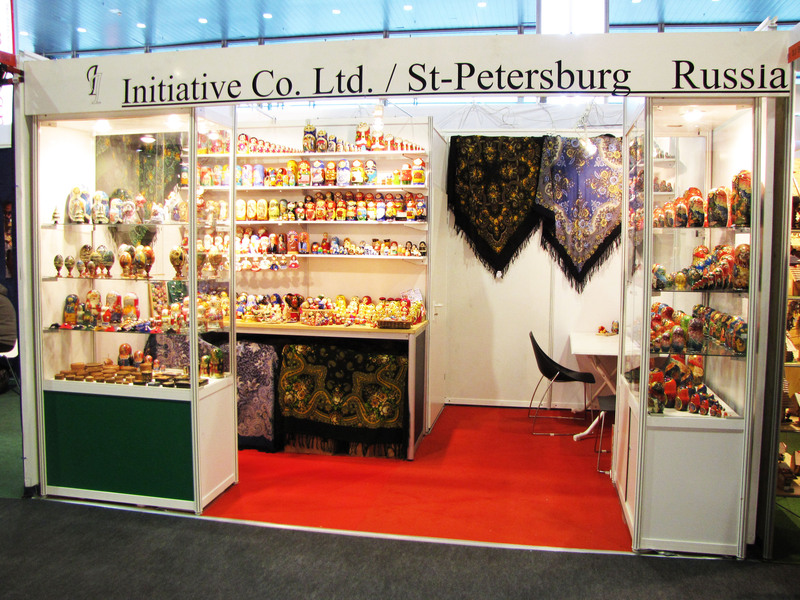 In 2000 our company was honored to be an exclusive distributor of Russian souvenirs at the International Exhibition EXPO in Hanover, Germany. “Initiative” Co Ltd is the only Russian participant of TFWA (Tax Free World Association). Our long experience shows that Russian souvenirs and Russian folk arts are popular among collectors as well as tourists all over the world who become absolutely fascinated from the first sight they see Russian souvenirs.